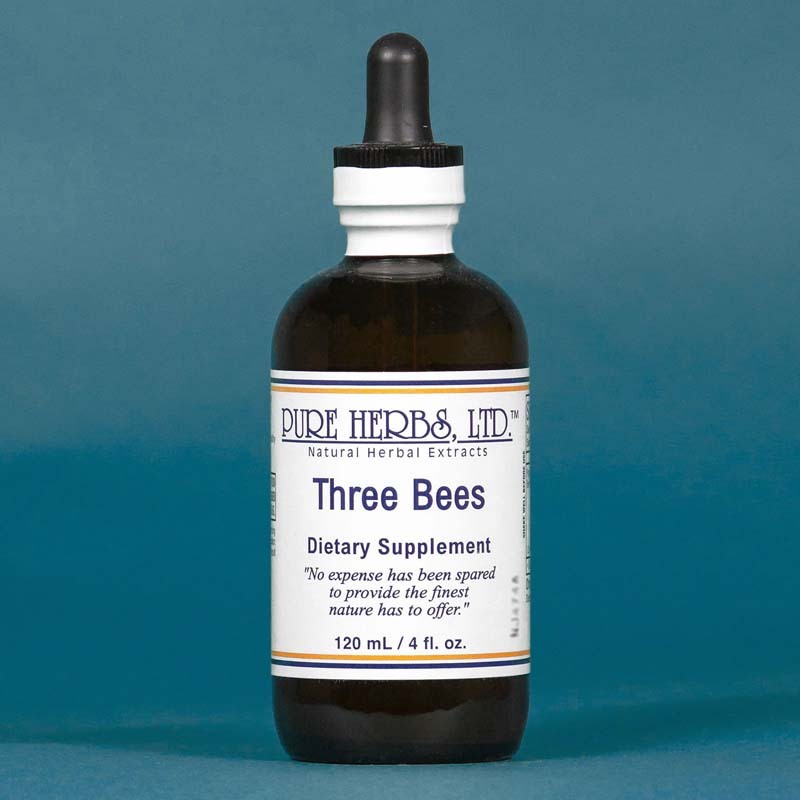 THREE BEES - The best of three bee products are combined in this high energy, antibiotic formula. Bee Pollen (bee collected plant sperm) provides energy, the elements of new life for cell regeneration and antibiotic activity, as well as a high quality protein source and first-rate anti-stress adrenal gland nutrition. Bee Propolis (bee glue) possesses the antibiotic spark to raise immunity levels and get the life systems moving again. Putrid material is rendered harmless. Low-grade fevers disappear. Royal Jelly (Queen Bee food) is that elixir of life which extends the normal life span of an infertile worker bee from a few weeks to several years as a Queen with great fertility. Together, these three bee products provide a powerful formula for the entire nervous system. The body virtually glows with renewed vigor. COMBINATION:Bee Pollen, Bee Propolis, Royal Jelly. DOSE:40 drops, 3 times per day. If needed to spark systems back into action, 40 drops per hour, while awake until well. Then as a maintenance, 40 drops, three times per day to stay well.